Certain manufacturing lots (batches) for the following vehicles. If you own a TEIN FLEX and/ or TYPE HT coilover kit for one or more of the following vehicles above, please see the details below. TEIN now has a NEW and improved lower bracket design. It has been discovered that the Front lower mounting bracket of the FLEX and TYPE HT dampers for the above listed vehicles may have higher risk of damage and/or failure if installed improperly or not properly maintained. 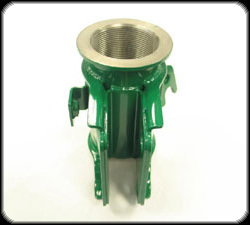 A revised version of the lower bracket was put into production in 2005, which will decrease such risk, even if improperly installed or maintained. This exchange program exists for kits which have the Pre-2005 style lower brackets. As of the posting of this document the products mentioned below are subject to voluntary exchange. If the lower bracket lock on the vehicle has been used in a loosened state for a long period of time, it may place added stress on abnormal points on the bracket thereby increasing the risk of bending and cracking. Such cracks or bends could lead to unexpected corrosion which may again increase the likelihood of additional damage. 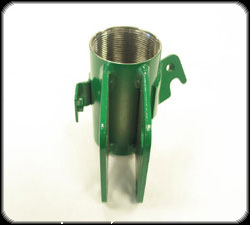 In comparison, the improved style brackets have a double walled design (pictured below) and are currently provided in our kits. These Improved Style Brackets will be provided to those customers participating in the voluntary exchange program. TEIN will exchange the Pre-2005 style brackets for Improved Style Brackets, on a one for one basis. The exchange part will be a direct replacement part and only for the exact same application. Detailed product information can be found on the Product Sticker located on the lower mounting bracket. 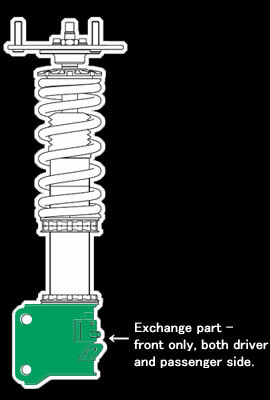 There is a sticker at the bottom of each individual coilover. Please copy down or take a picture of the information listed on the sticker, then cross reference that information with the chart in figure 1. If your TEIN products fall within the information listed on the chart please participate in this Voluntary Exchange Program. If your product part number and lot number is included in the chart below, then your product is included in this voluntary exchange program. Only the vehicle, product, lot number, part number mentioned in the below table are subject to the voluntary exchange. The production period and sales period may differ. * Only the front lower bracket needs to be voluntarily exchanged. There are basically two methods which can be used for customers in North America, South America, and Caribbean. Brackets and payments be sent to TEIN USA Inc.
2. Once received TEIN USA will issue new brackets for the same application. 3. TEIN USA will cover UPS Ground or similar* for return shipping only. TEIN USA must first receive the Pre-2005 brackets before new brackets can be issued. It is highly recommended that images of the bracket and sticker be submitted to TEIN USA prior to shipment of brackets to ensure inclusion in this program. 1. Contact TEIN USA to have deposit of $150 per pair plus shipping submitted. 3. Send your Pre-2005 brackets back to TEIN USA. Once the brackets are received a total refund, brackets and shipping, will be issued by TEIN USA, Inc., see details below. Deposit can be made by PayPal, money order, certified check (non-US customers see Note 1). No personal checks, company checks, cash will be accepted. If original brackets are not received within 30 days, a refund will not be issued. Please make payable to: TEIN USA, Inc. Improved style brackets have unique serial/ reference numbers, which will be linked to contact information provided when brackets are issued. PLEASE INCLUDE this serial/ reference number when sending in Pre-2005 brackets. Refund can be issued to the same account in which the deposit was received from. Or a TEIN USA, Inc. company check can be issued. Once Pre-2005 front lower brackets are received a TEIN USA, Inc. company check will be issued for the deposit amount (US currency). Payment will be issued within 7 business days and delivered certified mail through US Postal Service. The refund will be issued to the same person and address listed matching the serial/ reference number. *expedited shipping is available but customer is responsible for the difference between UPS Ground and expedited service. Please contact a TEIN representative for details. Note 1 - Certified checks, money orders must have US affiliate bank listed on check, and payment must be made in US currency. Please do not send entire coilover assemblies. Please send only lower brackets. TEIN USA will be sending brand new revised design lower brackets. These new brackets are to be used with TEIN Conical Washers which are included (note: the Conical Washer will prevent the bracket lock from coming lose when installed and torqued properly). Lastly detailed instructions in English will be provided. * one of each driver and passenger side will be sent; so long as one of each is received or deposit is for the correct amount. ** a single updated spanner wrench will be included depending on product LOT number. This updated spanner wrench is 1/2" drive compatible for use with 1/2" torque wrench (wrench has a square hole located near the base of the wrench handle). Most kits already include this updated version of the wrench. This is a voluntary exchange program. We strongly suggest persons with Pre-2005 style lower brackets to participate. TEIN USA is ONLY able to exchange Pre-2005 style bracket for the Improved Style Bracket. UPS Ground or similar shipping charges from TEIN USA to customer will be covered by TEIN USA. Q1. What causes the damage to the bracket? A1. If the bracket lock is not properly torqued to TEIN specification, the added vibration and movement increases the stress on the parts making them more susceptible to damage. If care has not been taken to maintain the bracket (allowed to rust or corrode), the material may become more likely to be damaged. Q2. What if I do not have my original receipt? A2. An original receipt is not needed. Q3. I am not the original purchaser of the product? A3. It does not matter if the product was purchased used. Q4. Will TEIN USA pay for labor charges to un-install and re-install the new brackets? A4. Unfortunately TEIN USA cannot pay or reimburse for any labor charges as this is a voluntary exchange program. Q5. Since this is my only vehicle, will TEIN USA pay for alternate transportation? A5. No, unfortunately. We cannot reimburse or supply any alternate transportation. Q6. What will happen if I have the Pre- 2005 bracket but do not participate in this program? A6. 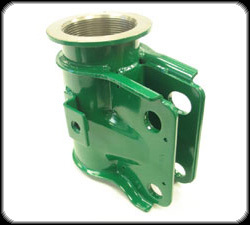 There is an increased chance that the lower brackets will become damaged if not properly torqued and maintained. Q7. Is there a time limitation to this program? A7. No, this exchange program does not have a time limitation. However, if the concern is not addressed in a timely manner, TEIN will not be liable should the product bend or crack, if not properly torqued and maintained. Q8. What if the product sticker is gone or illegible? A8. An image will be required prior to the processing of exchange to verify product is included in this program. Q9. How long will it take before I can receive my new brackets? A9. Turn around times will vary depending on when we receive either the old brackets or the deposit. 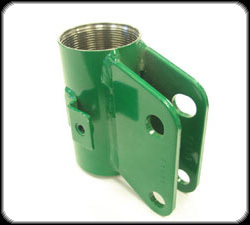 All replacement brackets are in stock and ready to ship. Q10. Can I drop off my Pre-2005 brackets and pickup the Improved Style Brackets at TEIN USA? Q11. What if I do not reside in North America, South America, or Caribbean? A11. This is a global program, please contact TEIN USA and they can gladly assist you further with any questions or concerns you may have. If you have any questions regarding the information listed above, please contact TEIN USA either by mail, phone, or E-mail. Our trained representatives are available to answer any questions you may have.